Brighten up your little one's wardrobe with this stylish sleeveless ruffled design top designed by Babyoye. 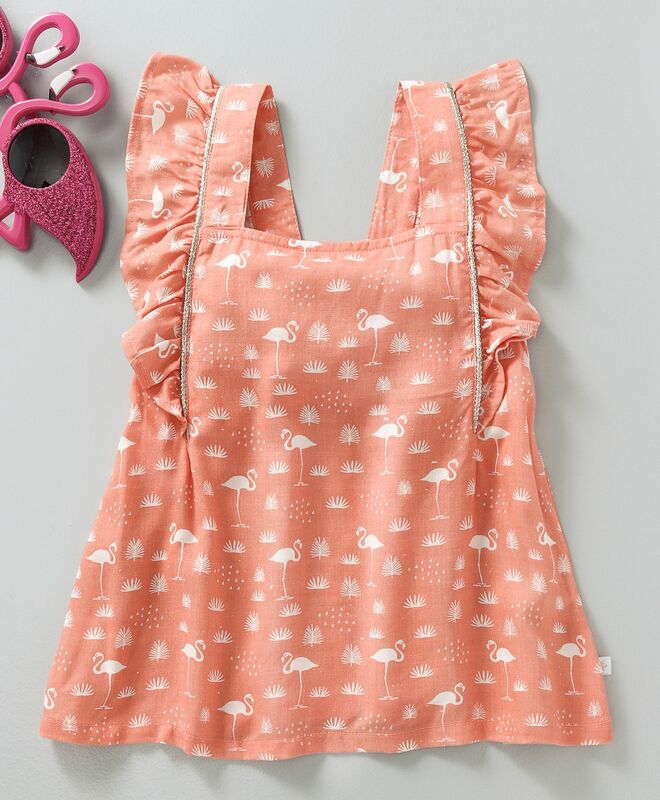 Featuring attractive crane print, this top features a square neck and back button closure. Goes amazingly with belly shoes and shorts. Styling Tip: Pair it up with shorts, belly shoes and hair band for a perfect look.